Former Aviation Minister, Chief Femi Fani-Kayode, has lampooned Dr Oby Ezekwesili, saying there was little chance of her winning “one per cent of the votes” in the 2019 presidential election even if she had not backed out of the race. Fani-Kayode was reacting to Ezekwesili’s announcement on Thursday morning that she was withdrawing from the race in order to champion a “broad coalition for a viable alternative” that will defeat President Muhammadu Buhari of the All Progressives Congress (APC). 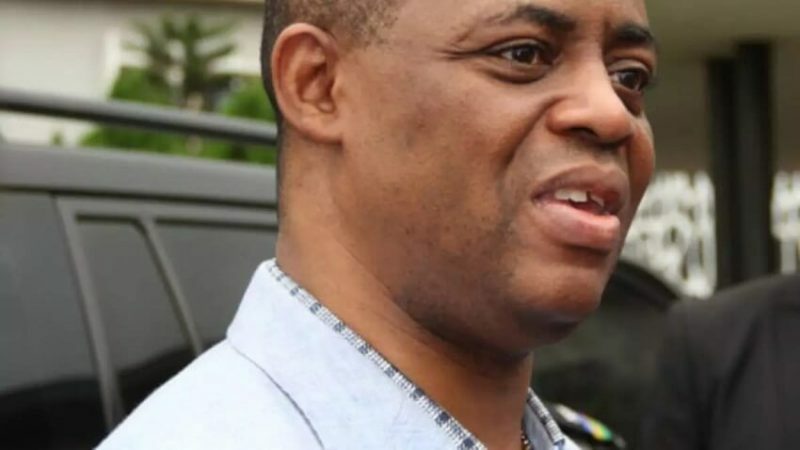 But reacting in a Facebook post on Thursday afternoon, Fani-Kayode accused Ezekwesili and the presidential candidates of the Alliance for New Nigeria (ANN) and African Action Congress (AAC) – Mr Fela Durotoye and Omoyele Sowore – of allegedly fronting for Buhari in the poll. He said, Ezekwesili “opted out of a presidential race in which she had little chance of winning even one per cent of the votes. “It would have been easier for a pregnant Somalian chimpanzee or a four-eyed Zambian frog to be invited to Buckingham Palace for lunch with the Queen than for this so-called “presidential aspirant” to win one polling booth, let alone one ward or one Local Govermment Area, in the race. “The fact that Oby’s running mate, one Galadima, and her political party endorsed Buhari three hours after she opted out of the race speaks volumes. “She, Fola Durotoye and Omoyele Sowore were clearly spoiler candidates who were on a malevolent errand of mischief, who were never to be taken seriously and whose hearts secretly lay with the tyrant all along. “I have no doubt that those who claim that Oby and the other “not too young to run” presidential aspirants, with the possible exception of George Moghalu, were just a front for Buhari and a futile attempt to take votes away from Atiku Abubakar and the PDP. “The wisdom of Atiku refusing to participate in a debate with these unconciable jokers and desperate pretenders cannot be faulted or questioned. “They did not deserve the attention that they so desperately sought and their motives for participating in the presidential race are, to say the least, questionable. “The only one amongst them that had anything meaningful to say or to offer and that spoke from the heart and with full sincerity of purpose was George Moghalu. This is a deeply courageous man that I have come to respect.